Is Sodastream International Ltd (NASDAQ:SODA) the right investment to pursue these days? Investors who are in the know are taking an optimistic view. The number of bullish hedge fund positions that are disclosed in regulatory 13F filings went up by 3 in recent months. The level and the change in hedge fund popularity aren’t the only variables you need to analyze to decipher hedge funds’ perspectives. A stock may witness a boost in popularity but it may still be less popular than similarly priced stocks. That’s why at the end of this article we will examine companies such as InnerWorkings, Inc. (NASDAQ:INWK), State National Companies Inc (NASDAQ:SNC), and First Financial Corp (NASDAQ:THFF) to gather more data points. 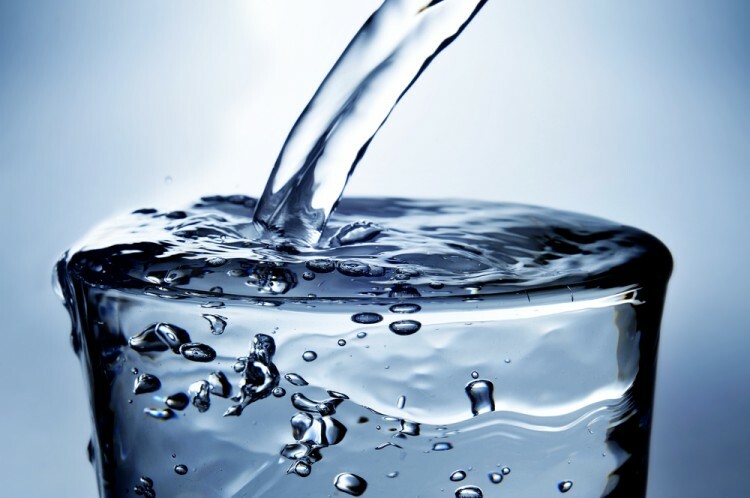 What does the smart money think about Sodastream International Ltd (NASDAQ:SODA)? At Q3’s end, a total of 16 of the hedge funds tracked by Insider Monkey were long this stock, a 23% increase from the previous quarter. 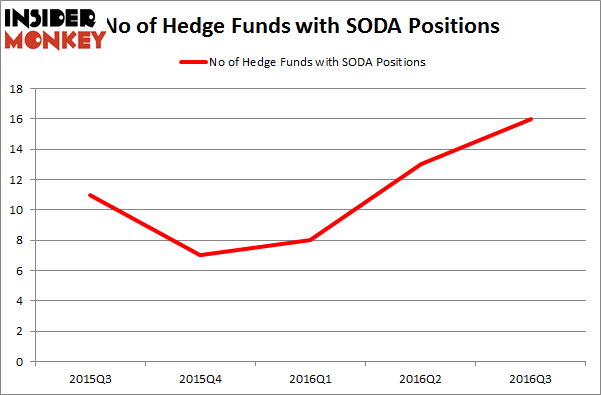 Below, you can check out the change in hedge fund sentiment towards SODA over the last 5 quarters, which shows a 100% surge over the past 2 quarters, as hedge funds rapidly pile into the stock. So, let’s find out which hedge funds were among the top holders of the stock and which hedge funds were making big moves. According to Insider Monkey’s hedge fund database, Wilmot B. Harkey and Daniel Mack’s Nantahala Capital Management has the largest position in Sodastream International Ltd (NASDAQ:SODA), worth close to $35 million, amounting to 4.2% of its total 13F portfolio. On Nantahala Capital Management’s heels is Renaissance Technologies, founded by Jim Simons, holding a $15.3 million position. Remaining members of the smart money that are bullish contain Joseph Mathias’ Concourse Capital Management, Josh Goldberg’s G2 Investment Partners Management, and Ken Griffin’s Citadel Investment Group. We should note that Nantahala Capital Management is among our list of the 100 best performing hedge funds which is based on the performance of their 13F long positions in non-microcap stocks. Federal Realty Investment Trust (FRT): Are Hedge Funds Right About This Stock... 10 Stocks Insiders and Hedge Funds Are Crazy About (part 1) Here is What Hedge Funds Think About Green Dot Corporation (GDOT) Should You Avoid Graham Holdings Co (GHC)? Here is What Hedge Funds Think About Federal Signal Corporation (FSS) Have Hedge Funds Found Something to Love in K12 Inc. (LRN)?